How to Answer the Question, "What is Your Greatest Weakness?" Before I jump into tips for answering this question, I'll explain why employers ask the question and what kind of answer they are hoping to hear when they ask, "What is your greatest weakness?" If you understand why an employer asks a question, you'll be better able to formulate a great answer. Why do employers ask the interview weaknesses question? They want to determine if there are any issues or concerns that might prevent you from doing a good job. They want to know if you have a good understanding of yourself and are able to deal with problems as they arise. 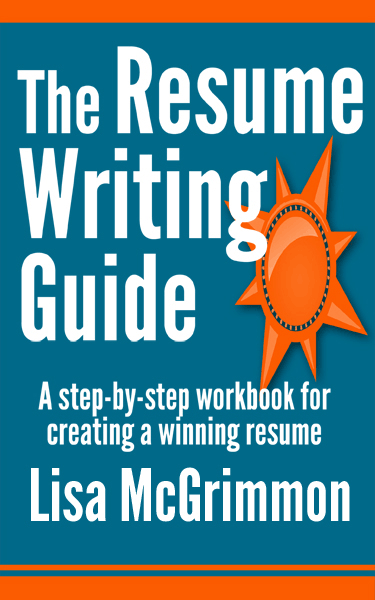 There are a couple of clichéd answers that people commonly give to the interview weaknesses question. These clichéd answers should be avoided. 1. Never say, "I have no weaknesses." Everyone has weaknesses, so that answer either sounds insincere (I have weaknesses, but I'm certainly not going to tell you about any of them), or it sounds arrogant (I don't have any weaknesses; I'm not about to take direction from you). 2. Never say, "I'm a perfectionist." While it's true that some people are perfectionists, and perfectionism can be a weakness, this answer doesn't make a good impression because it is completely over-used. Too many people have been given the bad advice that they should answer this question in this way. If an employer interviews 10 people and asks the interview weaknesses question, it's very likely that 9 people will say, "I'm a perfectionist." This answer sounds completely insincere to an employer who has already heard it many times. When you are asked this question, only provide one example of a weakness. Do not give the employer a long list of all of your weaknesses. Even if the employer uses the plural, "What are your greatest weaknesses?" in the question, naming one weakness will suffice. Perhaps an extremely rare employer might push for you to mention a second weakness, but it is very unlikely. Among the 2000 clients I have worked with, I have never heard of an instance when an employer didn't accept a single, good answer to the interview weaknesses question. Tell the employer about something that is or was a weakness and you did something about it to improve and ensure it would no longer be a weakness. Be sure to choose something that is not a skill that would be central to the job you are seeking. There's nothing wrong with admitting to an employer that you had a weakness as long as you show that you did something to improve upon that weakness. That kind of answer shows an employer that when you recognize a weakness in yourself, you make an effort to do something about it. It allows you to demonstrate that you are good at problem solving and committed to ongoing learning and development. "I used to be very nervous about public speaking. I was fine speaking in small groups, but I avoided getting up to speak in front of large groups. So I decided to join the Toastmasters club, where I was able to improve my public speaking significantly. Not long after joining Toastmasters, my supervisor at my last job asked me to work on a new project that involved staff training, which meant a lot of public speaking. I practiced, and I consulted with a co-worker of mine who was very good at public speaking, and I was able to give several presentations that were very well received at work. I still get a bit nervous before I speak in front of a group, but I'm far more effective and confident with public speaking than I once was." This answer highlights a common fear that many people have, public speaking, and it indicates that the interviewee took effective steps to improve upon that weakness. 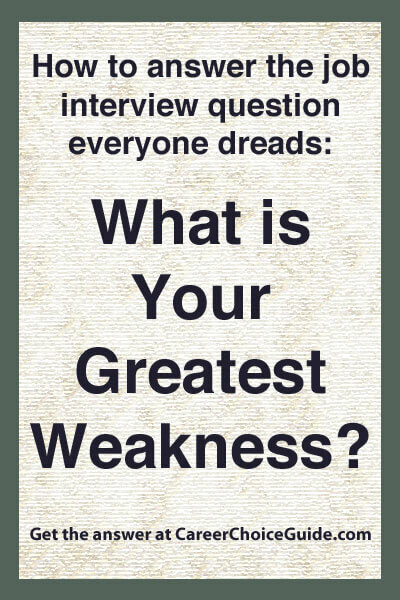 Click on the image to open the full size version of the Interview Weaknesses worksheet in a new window, then print the image to use the worksheet to devise your own answer to, what is your greatest weakness? I'm not implying that this answer should be used by everyone. It's just a sample to give you some inspiration for developing your own answer to this question. It is very important to come up with your own sincere answer to any job interview question. Remember to choose a weakness that is not central to the requirements of the job. If you were interviewing for a job that required a lot of public speaking, the example above would not be a good answer to give. You'd need to choose a different weakness. If, on the other hand, you were interviewing for a job that involved working on your own or in small groups, and you had taken those steps to improve your public speaking skills, this answer would make a great impression. Employers are trying to get to know you during the job interview to determine whether you would be a good fit at the company. When they ask the interview weaknesses question, they are not looking for perfection. They want to know that you don't have major weaknesses that would prevent you from doing the job well, and they want to see that you can problem solve, recognize areas for improvement, and make those improvements. Interview Weaknesses - How to Answer the Question, "What is Your Greatest Weakness?"